In last month’s Voice of Baltimore post, we explored how the health and wellness industry is big business in Baltimore and beyond. We found that Baltimore residents take exercise seriously, but how do they feel about vitamins and nutritional supplements? While there is some debate over whether or not health supplements are truly effective, one thing is for sure: They are incredibly popular, with more than $37 billion being spent on nutritional boosters annually. Learn more about how Baltimore residents feel about health and wellness supplements in this week’s blog, and don’t forget to check back next month to find out what we found out about their feelings on healthy eating! 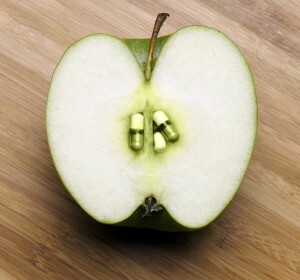 An apple a day (plus some nutritional supplements) keep the doctor away! Our survey revealed that Baltimore residents are willing to spend hard earned dollars on products and services that benefit their health and wellness. Survey results show (80%), of those surveyed, spend $10 or more each month on vitamins, supplements, gym memberships, and other products and activities that promote a healthy lifestyle; (25%) of respondents spend between $10-$29, (21%) between $30-$49, (20%) between $50-$99, (13%) between $100-$300, and (1%) spend $300 or more. Of the 920 Baltimore residents who responded to our survey, the vast majority were interested in maximizing their wellness and only (2%) indicated that they were not interested in pursuing a healthy lifestyle. Twenty-five percent (25%) said that they did not take any vitamins or wellness supplements, while (75%) indicated that they took some kind of daily nutritional enhancement. Nutritional supplements were the least likely to be taken alone, with only (6%) of participants indicating that they only took a daily supplement. Vitamins were categorically more popular and (35%) of participants said that they took a daily vitamin alone, while (33%) take vitamins in combination with a supplement. Our survey indicated that vitamins are perhaps more popular due to consumers having a better understanding and comfort level with vitamins rather than supplements, as nearly (80%) of participants were slightly, somewhat, or very interested in learning more about nutritional supplements. This entry was posted on Wednesday, September 7th, 2016 at 11:33 am. Both comments and pings are currently closed.